So much of what I know about beer writing comes from two authors: Garrett Oliver and Michael Jackson. Oliver, the head brewer at Brooklyn Brewery and author of “The Brewmaster’s Table,” changed my professional life. It was after poring through that book on beer history, style, and pairing that nudged me in the direction of spreading the gospel of craft. 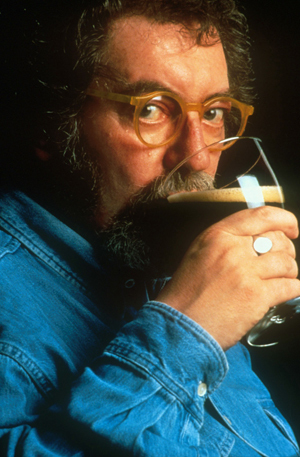 Jackson, however, was the godfather of modern beer writing. Indeed, as Tom Acitelli posits in his profile of Jackson in “The Audacity of Hops” (Chicago Review Press), Jackson was “perhaps the most influential food writer on any one subject of the twentieth century.” Jackson surely deserves his own biography, but Acitelli’s all-too-brief chapter on whom he calls “The Bard of Beer” serves as a welcome British diversion in a craft beer history book about the most influential American players. Acitelli segues from his profile of John McAuliffe and his pioneering work with New Albion Brewing to Jackson, whose “The World Guide to Beer” in the late 1970s influenced beer drinkers and brewers alike as a “roadmap” for brewers and drinkers. In some ways, I guess, Jackson was like a movie reviewer who wrote with such insight that filmmakers would pick up on his references to early Parisian or Indian pictures, then try their hands at recreating those styles. The biographical details on Jackson are painfully sparse; I hope that Acitelli does his subject more justice in future writing. Now, you can read Acitelli’s piece on what he believes to be America’s greatest beer bars. This entry was posted in Beer Snob and tagged Michael Jackson, The Audacity of Hops, Tom Acitelli. Bookmark the permalink.